Berry Bros. & Rudd are one of those names that if searching for a bottle of wine or a specialist spirit, it will be near the very top of your search engine. Why? 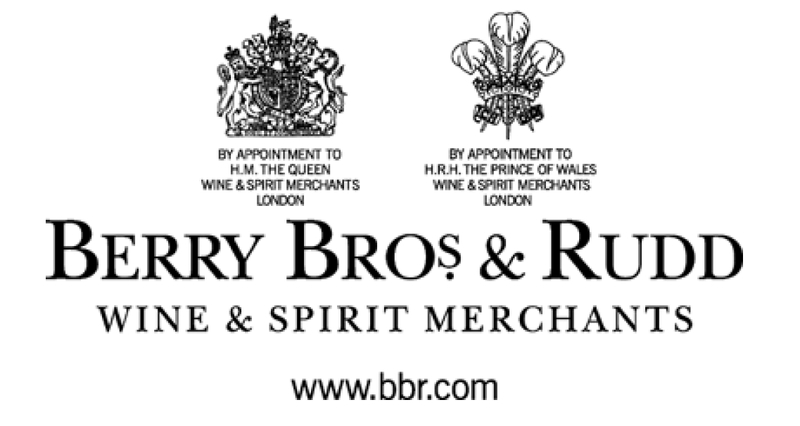 Because Berry Bros. & Rudd is one of Britain’s oldest wine and spirit merchants, opening its doors way back in 1698 at St. James’s Street, London. Even to this day it continues to trade from the same premises. Widow Bourne occupied No. 3 St James’s St and opened up a grocer’s shop – The Coffee Mill. No. 3 remained in the hands of the Widow Bourne until her daughter Elizabeth married William Pickering. In 1734, William Pickering died and his widow Elizabeth took over the running of the business until 1737, when she handed over both the grocery and the “arms painting and heraldic furnishing” side to her sons William Junior Pickering and John Pickering. Today the ground floor, entered from St. James’s street, instantly takes you back to the days when the Pickerings weighed famous visitors on the giant weighing beams, registering their weights with quill pens in morocco-bound ledgers. John Pickering died in 1754. With no suitable heir, his brother William took as his partner John Clarke who was distantly related, through his mother, born Mary Crabb. Clarke died in 1788, and while he had no son, his daughter, Mary, had married John Berry, a wine merchant in Exeter, and their son, George Berry, although only one year of age, had already been designated by his grandfather as heir to The Coffee Mill. Before he died John Clarke found as a suitable “caretaker” to manage affairs, the Brownes of Westerham, a rich and prospering family of lawyers and yeomen into which John Berry’s sister had married, and they agreed to look after the business until George was old enough to take over. George Berry, John Clarke’s grandson, was only sixteen when, in 1803, he made the two-day journey from Exeter. In 1838 the Chartist riots raged through provincial England and spread panic in London. Accompanied by his friend Prince Louis Napoleon, George Berry was sworn in as a special constable. This Prince Louis Napoleon, who as Napoleon III founded the Deuxième Empire in 1851, had a close association with No. 3, as during his two-year stay in London he used the cellars for sundry secret meetings with Sherer the (reputed) editor of the “Standard”. In 1854, George Berry died, and was succeeded by two of his sons, George and Henry. The style of “Berry Brothers” thus came into being and remained almost unchanged for almost ninety years. George Berry II had seven children, of whom Henry Berry was chosen to represent the older branch of the family while the younger of the original two brothers was succeeded by his son, one of twelve children, Henry Percival Berry. These two cousins were succeeded in due time by Francis Lawrence Berry of the senior branch, and Charles Walter Berry of the junior. While unusual wines such as Constantia or Tokay or the Tuscan Montepulciano were by this time represented in the Price List, the mainstays of the older lists were Sherries, Madeiras and Ports, wines from the classic regions of France and Germany and brandies, liqueurs and whiskies. Henry Berry was almost certainly the partner who established this policy and was the leading figure at No. 3 between 1880 and 1907. However, both Francis and Walter Berry felt that the firm did need some changes. The creation of The King’s Ginger Liqueur serves to illustrate the differences and strengths of each generation. In the early days of King Edward VII’s reign, the royal doctor approached Berrys for something to ward off the chill felt by His Majesty when out in his “horseless carriage”. Henry Berry promptly produced the firm’s brandy and ginger cordial originally known as “Ginger Brandy – Special Liqueur” but in 1906, three years after its creation, it was the younger generation who thought to add it to the Price List and in 1934 rename it “The King’s Ginger Liqueur” as it is known today. Until 1914 Hugh Rudd had worked in the Wine Trade, first in London, then on the Continent, and from 1903 with his father in R.G. Rudd & Son, Wine Merchants of Norwich. But after the war, Norwich ceased to hold its former important place in wine. By agreement with his father Major Rudd then came to London to join Berry Brothers and Company as the junior partner. His arrival at No. 3 was timely. He was, like both Walter and Francis Berry, a fine judge of claret, and this was of course an essential qualification at Berry Brothers. However, he also had an unsurpassed knowledge of German wines, embracing every conceivable facet of viticulture, vinification and development in every region of the Rhine and Moselle. His palate was as accurate as his knowledge, so that when the outstanding vintage of 1921 came on the market, his advice enabled Berrys to make a selection of such supreme and unequalled merits as to secure for themselves yet another reputation, to add to the ones they already enjoyed. On the 23rdMarch 1923, an important piece of Berry’s history was made. Seated round a table at lunch discussing whisky were the partners together with James McBey, the well-known Scottish artist. Berrys was already selling their own brands of Scotch Whisky to customers at home, and just a little had been sold before the war to private customers in the U.S.A. There were signs that the disastrous experiment of Prohibition would not last for ever and they now sought a new and different blend for the export trade. Like his cousin Walter, Francis Berry was an authority on fine Cognac and he supported the suggestion that they should choose a blend made up from only the very finest and most delicate whiskies. It would be bottled at its natural pale colour to avoid the danger of the caramel colouring masking or destroying the gentle and crisp flavour which they enjoyed so much – but which was far away from the fashionable idea of dark, heavy and oily Scotch whisky. All the new Scotch whisky blend lacked was a name and a symbol. At the time, the famous clipper ship “Cutty Sark” was much in the news as she had just returned to England after many years trading under the Portuguese flag. McBey, who was a keen sailor, suggested that this would be an admirable name for the new whisky. McBey also volunteered to design the label which remains today almost exactly as he originally drew it, even to the hand-drawn lettering and the use of the correct descriptive word “Scots” rather than the Sassenach’s “Scotch”. Only the colour of the label is different. McBey had suggested a creamy shade to imply age. The printers, by accident, used a bright yellow so striking in its effect that the partners decided to keep it. Eighty seven years after it was born in the parlour at 3 St James’s Street, the Cutty Sark brand was sold. Between the two wars the two Berrys and Hugh Rudd had steadily built up an ever larger and more rewarding business. In 1931 they were able to restore the width of No. 3 to the full extent enjoyed by William Pickering and John Clarke. By happy circumstance the new lease was signed by Sir Charles Bunbury, the direct descendant of the original landlord of 1731, but it was not until 1966 that the firm was able to acquire the freehold. Success continued to attend the house, but not always good fortune. In 1936, only five years after his retirement, and at the early age of 59, Francis Lawrence Berry suddenly died. His elder son George Berry was already a junior partner along with Walter’s son, Reginald Berry, and the family’s continuity seemed doubly assured. However, in March 1939, ill-health led Reggie to retire, and in 1941 George Berry was killed in action in North Africa. It had been agreed that George’s younger brother, Anthony, should also enter the firm, but as a rating in the R.N.V.R he was called up for service almost immediately. And soon Walter Berry was to be lost to the firm as well. Hugh Rudd managed the business with help from a greatly reduced staff. In the immediate post-war years the management team at No. 3 consisted of Anthony Berry, Kenneth Upjohn and Leonard Rowell under the guidance of Hugh Rudd, whose son, John, joined in 1948 after completing his military service. For legal and financial reasons the firm had in 1943 become a limited liability company. Hugh Rudd was Chairman and Governing Director. Kenneth Upjohn held a valuable appointment as Clerk of the Royal Cellars and also played a leading role on the export side. Leonard Rowell was the Director and was responsible for the care of the buildings and cellars, which now included No. 4 St James’s Street, brought largely at his instigation during the war. With the U.K. market still strangled by import restrictions and price controls, Berrys looked to develop sales abroad. The drastic reduction in whisky distilling during the war meant that every drop was still precious and it was almost twenty years before supplies of Cutty Sark matched demand. Hugh Rudd had worked hard during the war and in 1946 he suffered a stroke. Although he lived until April 1949, his illness naturally restricted his capacity and in his absence the four other directors ran the day-to-day business and Mrs. Rudd became a Non-Executive but highly competent Chairman until 1965, when Anthony Berry took over. Anthony Berry was to continue as Chairman for twenty years until handing over to John Rudd and retiring in 1985. Between 1961 and 1971 Cutty Sark totally dominated the U.S. market, with sales rising to more than 2.5 million cases annually. If the 1960s was the decade of USA, the ’70s was the decade of Japan. Cutty Sark raced ahead and by 1979 was selling almost half a million cases a year, and challenging the leader in the complicated Japanese market. Meanwhile, the rest of the world was not being neglected; by 1970 Cutty Sark was sold in over a hundred different countries including such unlikely places as New Caledonia, Nepal, Tahiti and Taiwan. The Georgian ambiance of Number Three St James’s Street and Berrys uniquely historic image disguise the modern business methods and systems which now hide behind the façade. The physical atmosphere of oak panelling and quill pens may remain but in fact the business is conducted and controlled in a very up-to-date fashion. On the wine side, a temperature-controlled wine cellar was built-in Basingstoke in 1967 and since then the premises have been greatly extended to include a bonded section, additional offices, a modern tasting room and a retail shop. The Widow Bourne and William Pickering, who started humbly enough under the sign of the Coffee Mill, may take comfort in the thought that Berrys huge expansion over the years has not been at the expense of its unique character or its reputation. Very light on the nose with hints of grass notes coming through slowly. Rather strong on the palate however with an instant hit of malt and ripe fruit mixing well. Results in a long tingle. Stong on the nose with an iodine aroma dominating, although a sense of cleanliness is apparent. Surprisingly smooth on the palate which develops into a long offering of citrus with a spice hint near the end with a whisper of smoke. A soft nose with hints of sherry and malt. Instant mouth-watering effect on the palate with a strong, sharp flavour of oak and raisins with a sweet and spicy end. Strong hit on the nose but smooths out into a lingering peatness. A small hit of peat hits the palate but expands well. Quite sharp and sticks around for a long time. Apricot and honey notes blend well on the nose, An oily texture on the palate, with a hint of sea salt and olive brine. Vanilla pops up at the end with a slight kick of smoke to finish. Rich orange and vanilla on the nose alongside waves of peat aromas. Fruits are present on the palate, with the well-rounded finish of sweet orange and smoky flavours. Berry Bros. & Rudd have many more whiskies under their belt, as well as other spirits including Glenturret 34yr, Aberlour 1988 and Demerara rum from 1988. You can purchase all these and others on their site where you can also find information of wine classes and events. (1) All history and production methods taken directly from the Berry Bros. & Rudd website. Subtle changes have been made for narrative purposes only. the body adapts and becomes efficient with very quickly. for your problem such as face lift or filler injections. more. The important thing to know is that there is know right answer, and you must approach your own fitness plan in a case by case assessment. of HIV. People have a tendency to fill their plates and then eat everything on them. intervals, voice messages from friends, workout history and lap times. in your Host country and will be the source of any required information with regards processes to be followed. a lot more attention to videos than it used to.